Poet and critic Frank O’Hara died at age 40 in the summer of 1966, after being hit by a dune buggy on Fire Island. 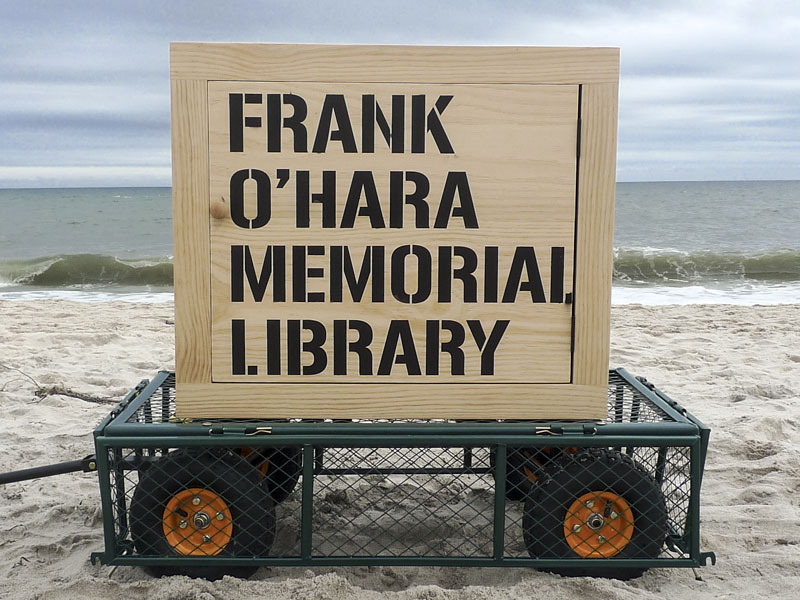 The Frank O’Hara Memorial Library is an interactive, mobile installation developed by artists Gerard & Kelly over the course of their residency on Fire Island and dedicated to O’Hara’s lifelong pursuit of the intimacy of poetic exchange. Poetry, in his words, could “at last be between two people instead of two pages.” Consisting of a circulating collection of books and a scored interaction between a single performer and a single viewer, the project continues the artists’ recent investigations of intimacy, exchange, and the transmission of queer cultural experience in works such as Timelining (The Kitchen, 2014) and Reusable Parts/Endless Love (Made in L.A. at the Hammer Museum, 2014). The Frank O’Hara Memorial Library opened on Friday, August 1 and traveled to beaches, boardwalks, outside public gatherings, and inside private homes. Constituting something of an idiosyncratic portrait, the library features a selection of volumes by O’Hara and other texts in proximity to O’Hara, by reference, influence, citation, legacy, or spirit. 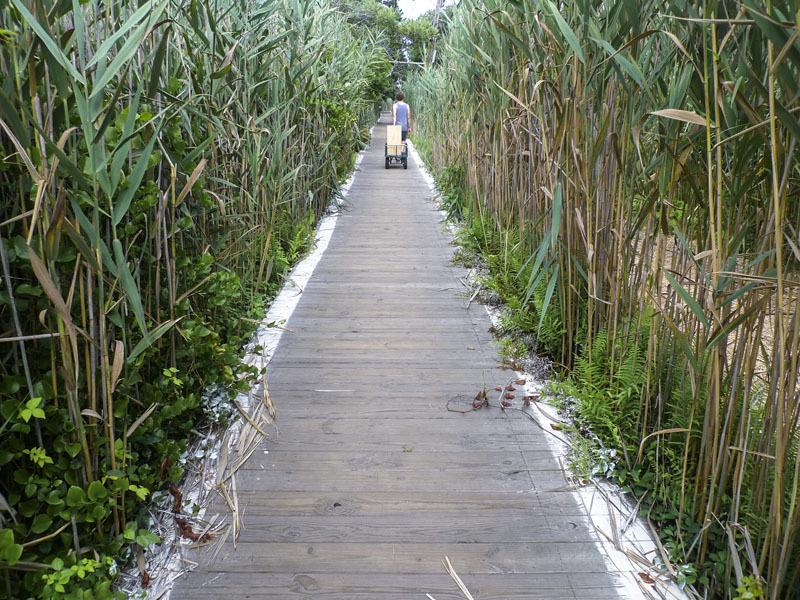 There are also a few volumes on Fire Island. 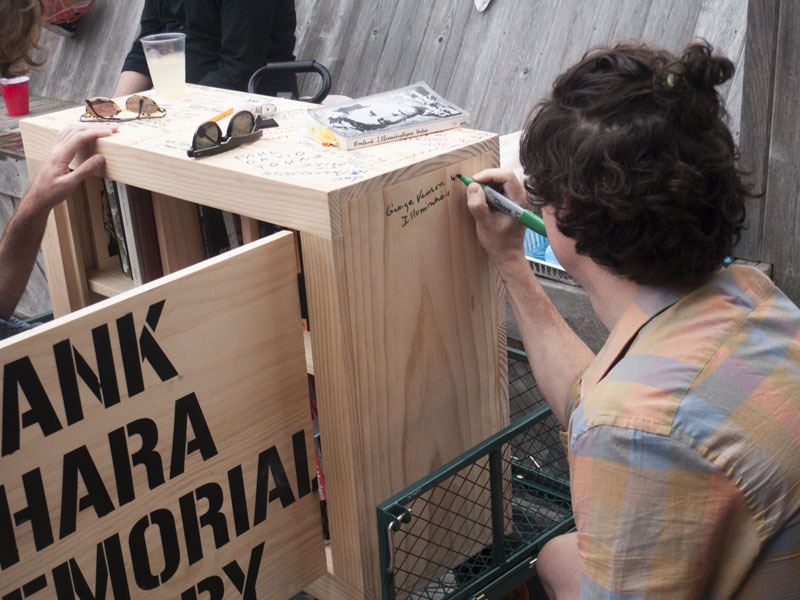 The library’s collection is ongoing; donations of books to The Frank O’Hara Memorial Library are graciously accepted. All photos: Gerard & Kelly, The Frank O'Hara Memorial Library (2014). Performance view. The discussion and reception on August 2nd were kindly hosted by Charles Renfro and Alex Galan.